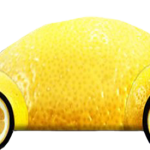 Lemon laws are state laws that provide a remedy for purchasers of cars that repeatedly fail to meet standards of quality and performance. These cars are called lemons. The federal lemon law protects citizens of all states. State lemon laws vary by state and may not necessarily cover used or leased cars. The rights afforded to consumers by lemon laws may exceed the warranties expressed in purchase contracts. In most states, the state Lemon Law provides for a full refund or a replacement vehicle (less a reasonable allowance for use) and attorney’s fees and costs if the consumer prevails. Lemon law is the common nickname for these laws, but each state has different names for the laws and acts. At the core of most lemon laws is the manufacturer’s breach of warranty. A manufacturer’s warranty is what makes the manufacturer legally responsible for repairs to the consumer’s vehicle or good. It is a form of guarantee. An express warranty is typically a written warranty. An implied warranty unlike an express warranty, is not written. The law imposes these obligations on the manufacturer, the seller or both as a matter of public policy. Lemon Laws vary from state to state, so accurate information on the scope and restrictions of Lemon Laws in a particular state should be obtained from an attorney practicing in that state. Knowingly purchasing a car in “as is” condition does not void the buyer’s rights under applicable lemon laws. In a nutshell, any defect or nonconformity, or combination of defects, which is/are not repaired within a reasonable number of attempts or a reasonable amount of time, may entitle you to Lemon Law relief. Your vehicle does NOT have to be breaking down to be considered a lemon. In short, if you are aggravated enough to be reading this you may have a lemon. All States differ so you should consult with an attorney experienced in lemon law to determine your rights. What Types Of Products Are Covered By Lemon Law? Almost any type of passenger vehicle is covered by the Lemon Law. This means that cars, trucks, vans, motorcycles and many other types of motor vehicles are usually covered under the Lemon Law. For boats, ATVs, RVs and items that may not covered by the strict definitions of the State Lemon Law, other State and Federal Lemon Laws are available which do cover these products. Leased vehicles are covered under the Federal Lemon Law. Since all State Lemon Laws differ so you should consult with a lemon law attorney to determine if leased vehicles are covered in your state. How Long Do I Have To Bring A Lemon Law Claim? There is a misconception that you must bring your case within a very short period of time because some State Lemon Laws require that you first report the problem within a certain period after the delivery of the vehicle to you (sometimes known as the “Presumption Period” or “Repair Period”). However, this does not mean you have to bring your lawsuit within that time frame, although the sooner you do so the better in most instances. The answer to that question depends on the facts and circumstances of each case. The best thing to do is maintain the status quo until you have the chance to speak with a qualified attorney. In other words, do not allow the condition of the vehicle to change by having any repair work done to it. However, if your vehicle is dangerous and you continue to use it, you do so at your own risk. It is important to remember that if you decide to go forward, many manufacturers will want to inspect your vehicle. You have a much better chance of obtaining the relief you seek if you can demonstrate a defect. Even if you cannot demonstrate the defect, you may still be entitled to compensation, but the chances of you getting what you want may be reduced somewhat. What if the Dealer Refuses to Repair My Vehicle? If the dealer refuses to repair your vehicle, you may also have a claim. The manufacturer has given a warranty, which, in most circumstances, requires the dealer to do repair work. If the dealer and/or the manufacturer then refuse to do the repair work, you may have a claim under the Lemon Law, Federal Warranty Law and/or other laws. The most important documents that you should have are the repair orders that you are given after your vehicle has been in for repair. Each time you take your vehicle in for repair you should make sure that all the information contained on these documents is correct. You should be able to get your repair history directly from the authorized dealer(s). If you cannot get them yourself, a qualified attorney may be able to issue a subpoena to the dealership to obtain all the documents on your vehicle. What Can I Get for a Lemon Law Case? The ultimate relief in a Lemon Law Case is your money back or a new car. This is known as a “buy back” or a “repurchase.” When that occurs, the defective vehicle is returned to the manufacturer. This is usually done by returning it locally to one of their authorized dealers. Can the Attorney General Help Me? The Attorney General’s Office is an administrative agency, which is part of state government. The government cannot act as your private attorney in a civil matter. The most the Attorney General can do is to write a letter to the company you are complaining about and ask for their help in resolving your complaint. They cannot file a lawsuit on your behalf. The company will usually claim that they are doing everything they are obligated to do. Then, the Attorney General will write you a letter explaining that they have done everything they can and that you may want to seek the assistance of a private attorney. You will save yourself precious time by seeking the assistance of a private attorney right away. Some State Lemon Laws provide that manufacturers may set up arbitration programs. These programs receive consumers’ complaints and are supposed to attempt to resolve the legitimate ones prior to a lawsuit being filed with a Court of Law. There is no requirement that you go through arbitration prior to seeking the assistance of a lawyer, and. not all of the manufacturers have “State certified” arbitration programs. Even if you do go through arbitration, you are not bound by the decision and can file a complaint in a court of law requesting a jury trial. This is usually your best chance for a positive recovery and is usually handled by a lawyer. Most cases settle prior to trial, and a good attorney will make every effort to obtain a fair and beneficial settlement for you. Contact LegalHelpLawyers.com today and get legal help with a potential lemon law case immediately!